This multiple award-nominated cookbook that has already become a bible for thousands who have decided to take control of their health by eating mindfully—including those many households where diabetes is an everyday concern. Eating wisely and well is one of our most powerful weapons to help prevent and manage diabetes; it's also a delicious strategy all of us can live by. Rather than pushing drastic eating prescriptions that cut out some foods altogether, The EatingWell Diabetes Cookbook gives you a simple blueprint for healthy eating: choosing healthy carbohydrates to keep blood-sugar levels stable, while using good fats and lean protein sources to provide great flavors and freedom from hunger between meals. It summarizes the best of cutting-edge research and adds real-life advice including: beyond low-carb, low-fat: upgrading to healthier carbohydrates and fats • the glycemic index, explained • eating smart in restaurants and while traveling • healthy eating at holidays and parties • strategies for making lifelong change • and much more. Joyce Hendley, M.S., is nutrition editor of EatingWell magazine, and a former food editor of Weight Watchers magazine. A frequent contributor to Weight Watchers cookbooks, she was also the writer for Sarah, the Duchess of York's bestselling Win the Weight Game. 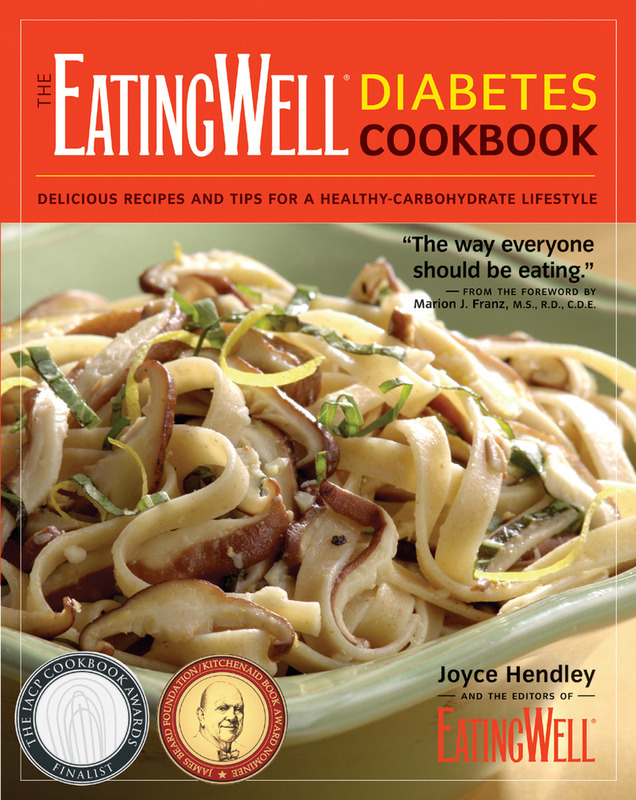 Her other books include The EatingWell Diabetes Cookbook, The EatingWell Diet, and Forbidden Foods: Diabetic Cooking.